Golden State Warriors and Cleveland Cavaliers face in 2014-2015 NBA Finals where the Warriors beat the CAVS in 6 game to grab the NBA Championships. Many speculate that the CAVS lost the Finals because of short-handed line up? Kevin love and Kyrie Irving are out in the Finals that year and only LeBron James who carry the team to fight the warriors but felt short and loss in Game 6 at their own home court Quickens Loan Arena. This time it’s different the Cavaliers are healthy both Kevin Love and Kyrie Irving are now available to play in this year NBA Finals, in addition Channing Frye, the hottest guy in shooting three’s for the CAVS might be a big factor in the series, JR Smith who is a no show in last year Finals might be also a big factor in helping the CAVS first ever NBA Championship? By the way 4 time MVP and 2 Time NBA Champion and 6 straight Finals appearance LeBron James, might get his chance of revenge against the Warriors? This is the time, a complete line up and the teams are rolling this will be the sweetest win for LeBron James and the Cavaliers if they can stop the best team in the NBA? For the defending Champion Golden State Warriors, they were simply do what they do best, hitting three’s and execute their plays where they do in this season and for the Championship, they have the chance to prove that with or without Kevin Love and Kyrie Irving they can beat the Cavaliers? This series is both important for either team, for the Warriors a legacy might be born if they win this year NBA Championship? A dynasty in the making. For the Cavaliers, they just simply want their 1st NBA Title and it’s now or never? 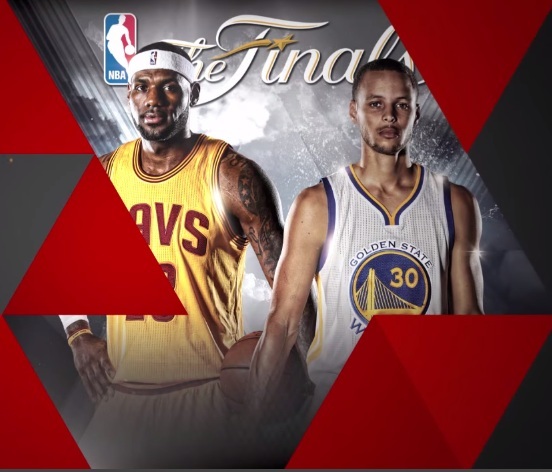 What do you think guys, who will win in this year NBA Finals? Is it the CAVS? Or the Warriors?